Jacques Beaudouin Ketant was virtually an unreachable drug lord, a close friend and business partner of Haiti's vicious tyrant, dictator Jean-Bertrand Aristide. Although Ketant was indicted in 1997 but continued to live a posh royal life in a hilltop mansion overlooking Port-au-Prince. On June 17, 2003, the federal authority put him on a plane to Miami in conspiracy charges for money laundering and importing 30,000 kilos of cocaine into South Florida, New York, Colombia and other locations over a period of 12 years. The U.S. District Judge Federico A. Moreno sentenced him 27 years imprisonment and slashed a fine and forfeiture of $30 million. At his 2004 sentencing hearing, Ketant told the judge, he had help from his close friend, the Haitian president, Jean-Bertrand Aristide. Aristide is a drug lord who controls the drug trade in Haiti. He has turned the country into a narco-country. Ketant began cooperating almost immediately after his arrest. 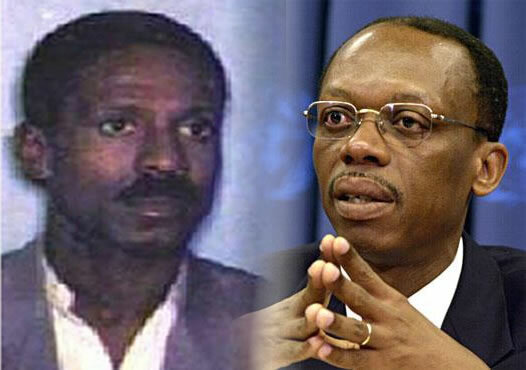 However, his U.S. based attorneys denied Ketant's allegations, Aristide, was never charged, but was ousted later that same year and spent seven years in exile. Ketant pleaded guilty immediately and allowed to forfeit his "Midas like collection of wealth". However, his collection of 200 rare paintings & $5 million cash... all disappeared from his $8 million worth mansion. The U.S officials have acknowledged that one of his five ex-wives with the support of a Haitian chief police officer, had looted the mansion after Ketant's expulsion. As per news dated April 20, 2015, Ketant has received a big reduction in his 27-year term. It was cut in half to 13.5 years, by a federal judge after the U.S. attorney's office in Miami recommended that reduction is because of his good behavior in the prison, and great assistance as approver that led to the successful prosecutions of 5 top ranking officials under the former President Aristide, including the police chief of the capital city and the security chief at Port-au-Prince's airport. His cooperation has helped the conviction of at least a dozen other corrupt officials from Haiti and some high-level cocaine traffickers. Ketant is serving his term in an Arkansas federal prison till the Christmas Eve of 2026, the reduction would make him eligible for release within a few months.